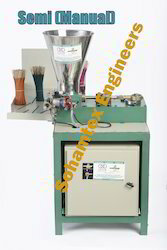 We are a leading Manufacturer of automatic agarbatti making machine soham 50, incense making machine soham 70, incense sticks making machine soham 70, agarbatti making machine soham 50, agarbatti making machine and semi automatic incense sticks making machine from Surat, India. We are manufacturer and exporter of incense making machine. 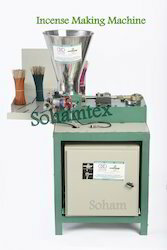 Incense Agarbatti Machine are offering by us those are made by optimum quality of material. Production: 80 Kg/ 8 Hr. Length of stick : 8" to 12"
Power required: 1.5 HP (3 or 1 phase). We are manufacturer and exporter of Agarbatti Making Machines. 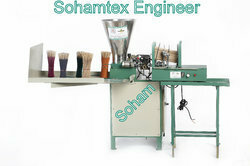 We give you technical support after sales. 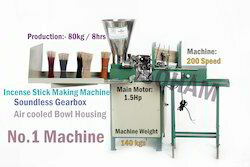 Production: 25-50 Kg/ 12 Hr. Free: 1-Toolkit, liner, bush, piston, rocket cap. Required power: 1 HP three phase/single phase . 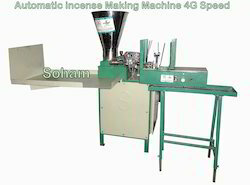 Looking for Agarbatti Incense Machine ?